The gift challenge. 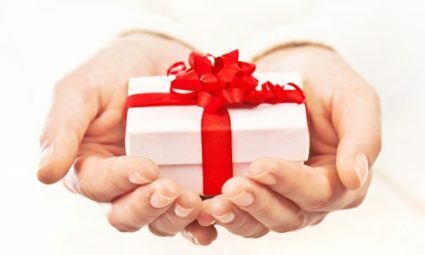 Here you are in another season when the challenge and cost of giving gifts count! No matter how much money spent and fancy wrapping, how to avoid missing the mark when you sense forced enthusiasm from the recipient? As with some gifts you may have received, it will get passed to someone else. The pleasure of making and receiving a good choice is then missed. Let’s be real, though. Not everyone is a natural gift giver. Not everyone has the means or time to make a good match, especially during seasonal orgies of buying. So start with what you can and want to do. Keys to good gifts. Focus on what you know about the true interests of the person. Instead of buying yet another favored pig, owl, or some other collectible, answer any of the following questions to get a better purchase. What are the subjects, joys, and curiosities of the person? What couldn’t the person provide? What might be a nice surprise? Next is the value of the relationship to you. Almost any choice works if it shows some sensitivity to who the person is. Whatever your sweet tooth, how would you feel if someone gave you candy or another fattening food when it’s known you want to lose weight? The closer the recipient, the greater the flexibility you have for using your imagination. For example, a friend bought a book for her father’s birthday about fatherhood. She added personal comments, interests, and experiences they shared. For my mother who says “don’t buy me anything,” I made a simple card by cutting a heart out of colored paper. Then I wrote some short, loving thoughts in large letters she could read easily. I also took her to a restaurant with food she liked and prices she would not choke on. Typically, she resisted the idea of eating out, but afterwards admitted she had a good time. Meet your needs too. You’ve probably already realized that one way to get good value and to avoid last-minute gift runs is to buy appropriate gifts as you see them. You’ll have them on hand, probably saving money and time. Then you’ll have the pleasure of buying something appreciated without the hassle. Another consideration is how much time and money you want to devote to gift-giving. Overextending yourself sends a distorted message and saps your own pleasure in the process. It could also start a cycle of obligation. I actually cut that cycle with my sister who often commented what a good gift giver I was which she found difficult to reciprocate. Finally, I said, let’s stop giving gifts and just make time to spend together. She was relieved and we had even more fun. Original gift ideas for many occasions and people. Here are some choices for this season and to add to what you have on hand or create. They aim to be varied and adaptable. Just skip any that seem too corny, time-consuming, or expensive to you. What really seems to count most is the good match of the gift. It will hold memories that keep relationships fresh and vibrant. And so the real gift is in the intangibles everyone gets. Learn more at the Ted Talk.